Real estate consultancy ValuStrat said values in Motor City are now being recorded at only 3.2 percent below peak, followed by Dubai Production City at 4.5 percent below peak. This is significantly better than the rest of the city where residential prices are more than 13 percent below their peak seen three years ago. 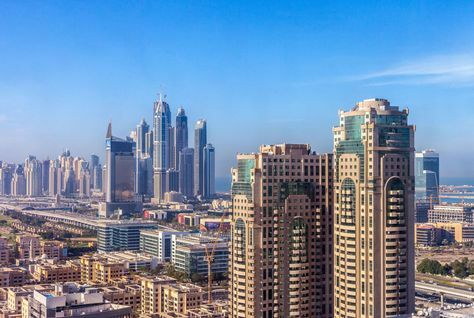 The January residential ValuStrat Price Index showed that the monthly growth rate of residential values in Dubai was generally flat for the month and has been broadly stable for the past 18 months. However, monthly uplifts of between 0.8-4.1 percent were recorded for mid-market villas located in Arabian Ranches, Jumeirah Park, and Jumeirah Village. Additionally, ValuStrat said monthly increases of between 0.6-2.6 percent were recorded for apartments located in Motor City, The Views, Dubai Production City (IMPZ), Dubai Sports City as well as Discovery Gardens. Conversely, the index showed that some areas saw monthly price declines that averaged 1.5 percent for both villas and apartments. Compared to a 100-point base in January 2014, the January 2017 overall residential VPI registered 97.5 index points, with no significant change in values when compared to the previous 19 months and down 0.4 percent when compared to the same period last year. Overall residential prices were 13.7 percent below their peak of 2014. During January, ValuStrat said the villa market registered 96.7 points, down 0.2 percent since January 2016 and the apartment market registered 98.0 points, down 0.6 percent in the same period. The index added that the price to rent ratios is currently 20 years for villas and 15 years for apartments. Net Yields are calculated at 4.1 percent for villas and 4.8 percent for apartments.